GoMotorsport is Motorsport UK's campaign to encourage more people to get involved in Motor Sport either as a volunteer, spectator or competitor. Clubs are encouraged to support the campaign and the work that clubs do to promote themselves and the sport is crucial to the campaign’s success. The Regional Development Officer (RDO) for our area is Mick Kinghorn. 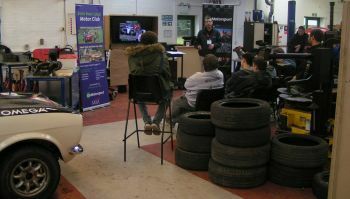 As well as co-ordinating GoMotorsport activities in the region Mick also works with clubs to help them grow and develop. Any club wanting support, information or material to help promote newcomers to the sport should contact Mick at the address below. Individuals wanting to get involved in Motor Sport in the North should also send an email to the address below. 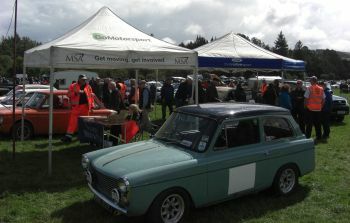 A Gomotorsport Stand at a show where visitors can find out how to get involved in Motor Sport. 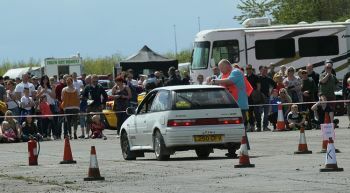 Clubs get together to offer passenger rides on an Autotest.